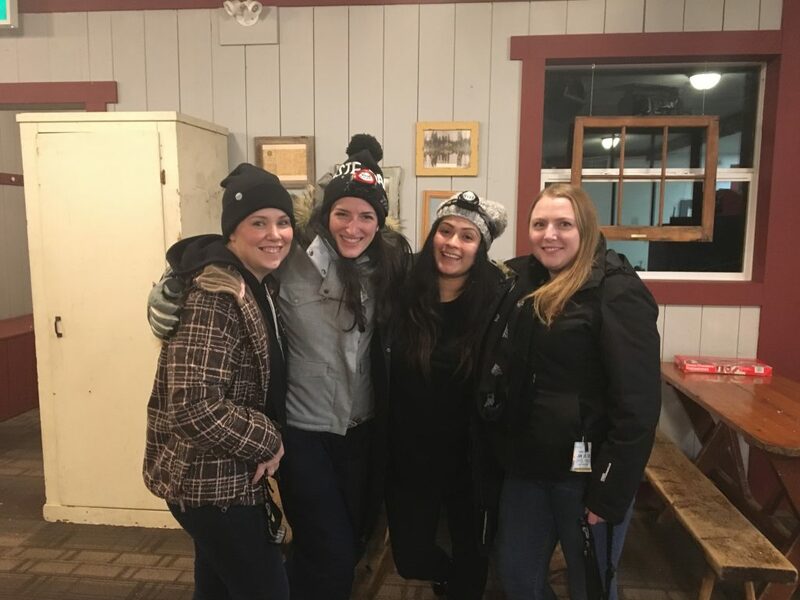 Our family is no strangers to the snow, with Cypress Mountain season passes aplenty each year we’ve always tried to head up for a few weekends of sledding & tubing as a family. 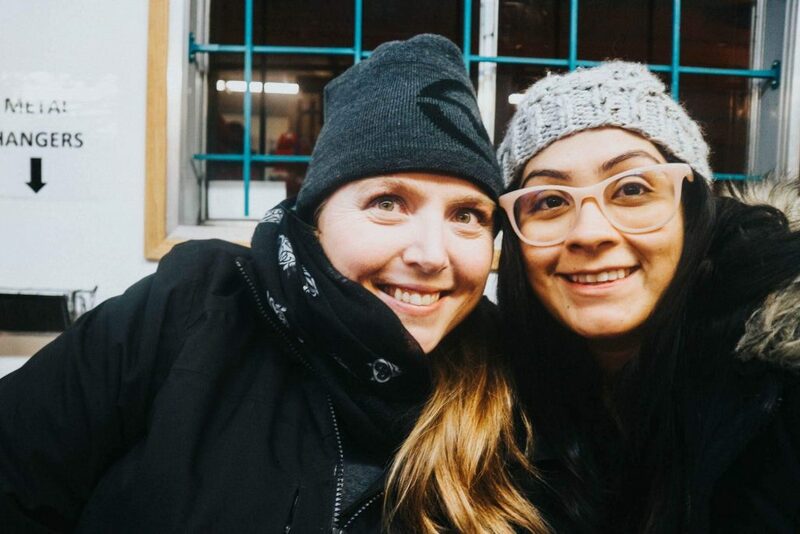 My other half is a die-hard snowboarder who spends the better part of the winter season bombing down the runs, and often A and I stay home. It’s not often that he and I escape for a trip up ourselves, without the kid in tow! 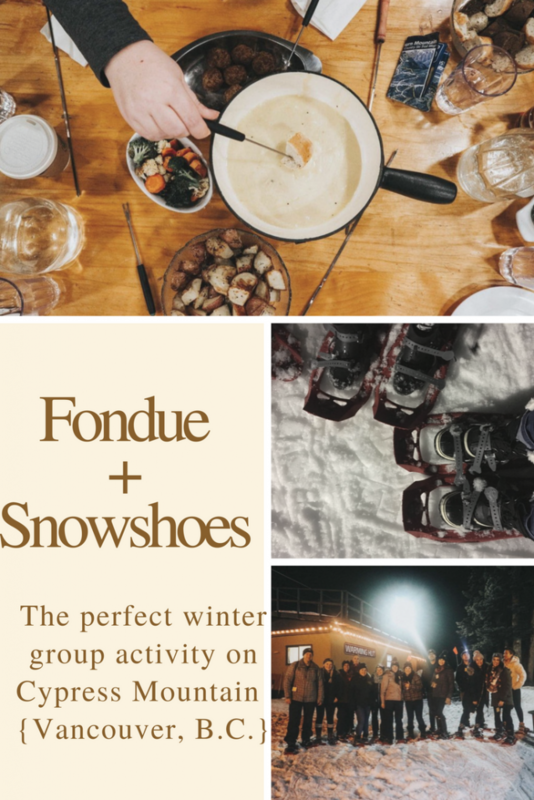 We were so excited to be invited to a Snowshoe Fondue Tour with the Healthy Family Expo team and well, it’s been a little while since I’ve strapped on some snowshoes (like… 15 or so years, but who’s counting) but there was chocolate involved, so I was in! 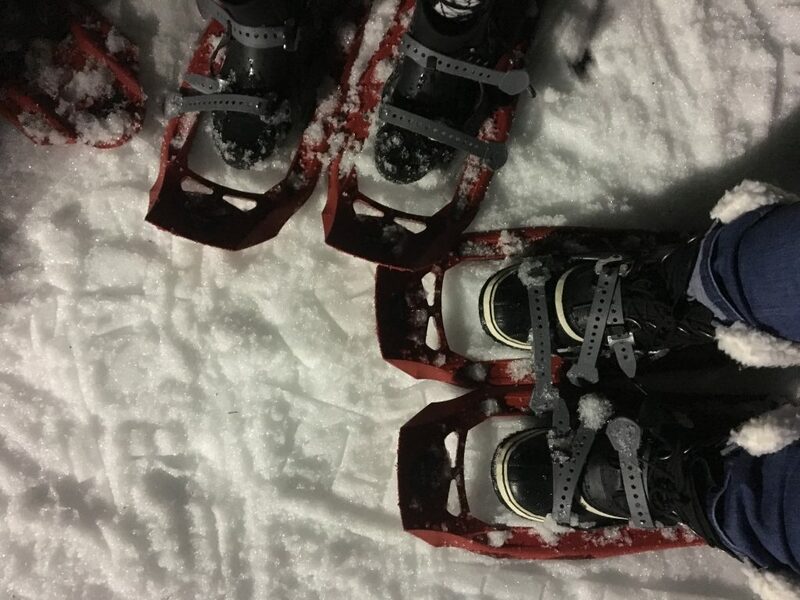 Our adventure started with a quick meet and greet with our tour guide – Will, who luckily for us happens to be a snowshoeing expert and was able to help all of us get suited up with our snowshoes and our super fashionable headlamps before heading out on our adventure. 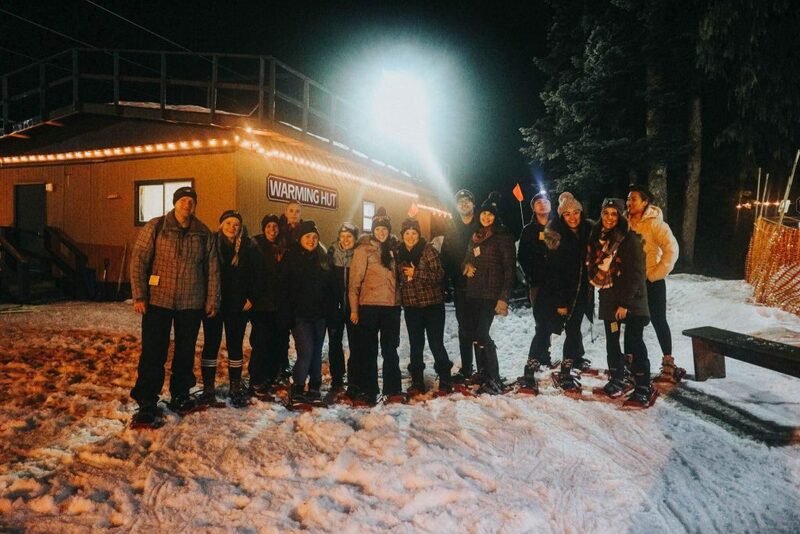 We learned that snowshoeing is a big passion for Will, so it was super easy to get behind his enthusiasm as he guided our group out to get started on the trail. Our tour was a total of 4 hours, with the first hour being the hike through Cypress Bowl up to Hollyburn Lodge. I won’t lie… I felt a little bit of a buns of steel burn as we were hoofing it through but the hike is gentle enough with plenty of breaks. Our guide took advantage of the breaks to tell us a little bit of the history of the area, including some survival tips – just in case – you happened to get stuck on your own. 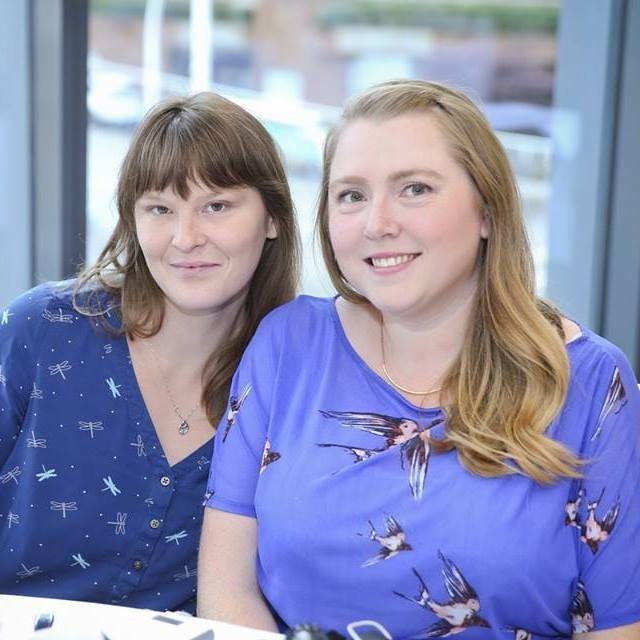 We really enjoyed learning about the different trees in the area and how they can actually help you if you are ever in distress. Also, this area boasts what was seriously the most incredibly fresh, crisp air! We were incredibly lucky that even though this day called for some seriously gross rain, we ended up with a beautiful clear night with just the right temperature to want to get to the lodge to warm up a bit, but not so cold that we couldn’t enjoy ourselves. At the end of the first leg of the hike, we arrived at Hollyburn Lodge Heritage Building which is nestled in Hollyburn Ridge, surrounded by sub-alpine forests, serene views and meadows aplenty. 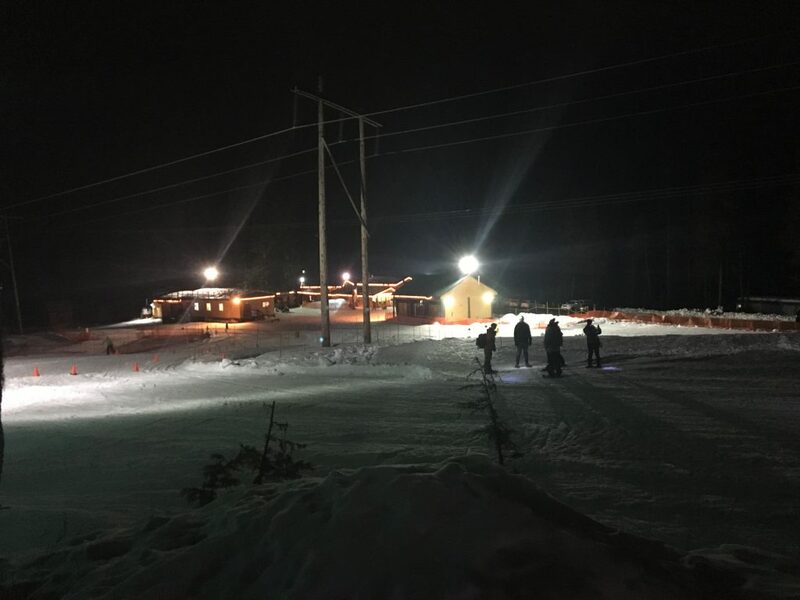 The Lodge boasts a lot of history and memorabilia about the area and is a popular meeting point for cross-country skiers and snowshoers in the area thanks to being a great spot to warm up, grab a homemade meal and stretch before heading back out on the runs. 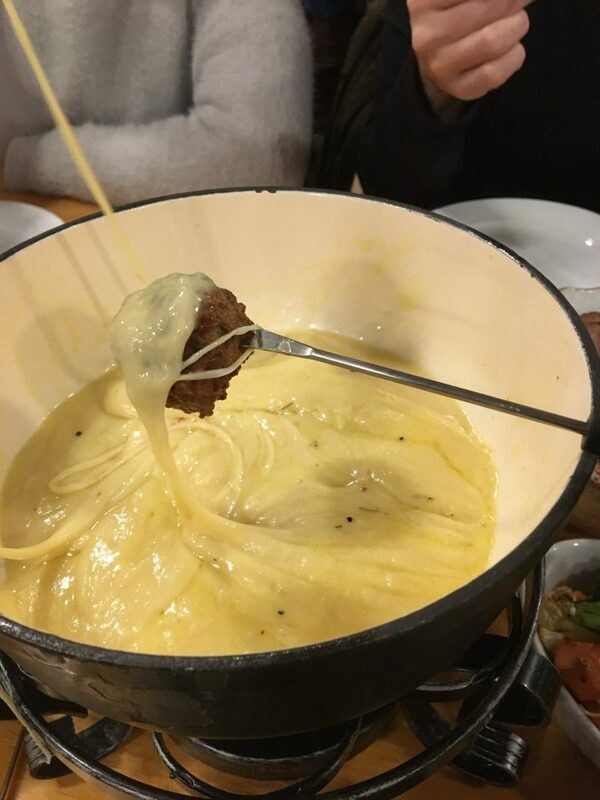 Our tour was the Cheese + Chocolate Fondue Tour which included a salad to start, a very *very* generous amount of delicious bubbling cheese fondue with just about everything you could imagine for dipping (potatoes, meatballs, bread, veggies.. you name it! 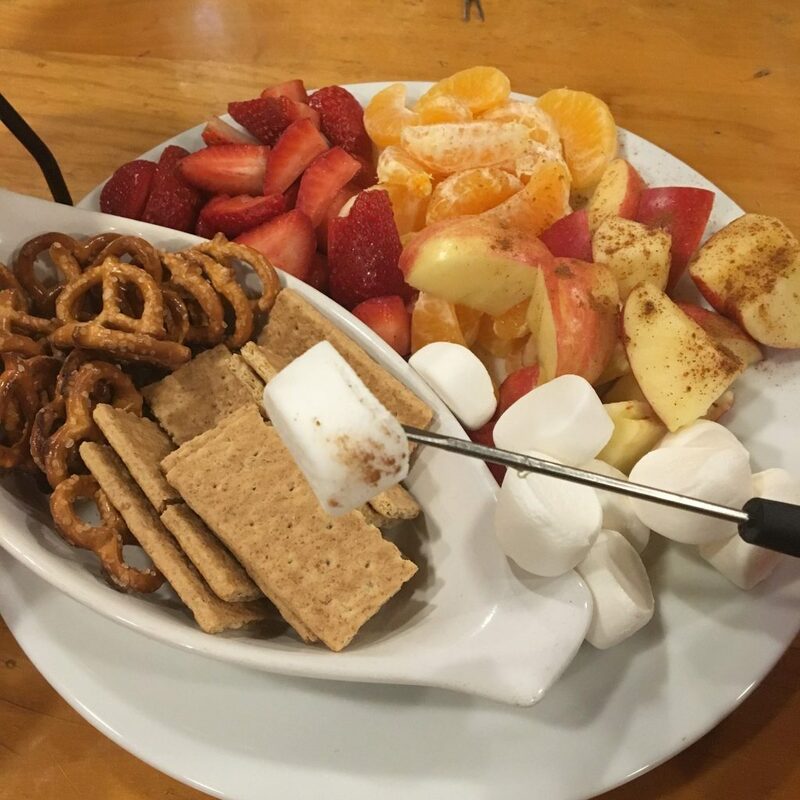 ), hot beverages and of course, the chocolate fondue. I may already be wishing we could go back! 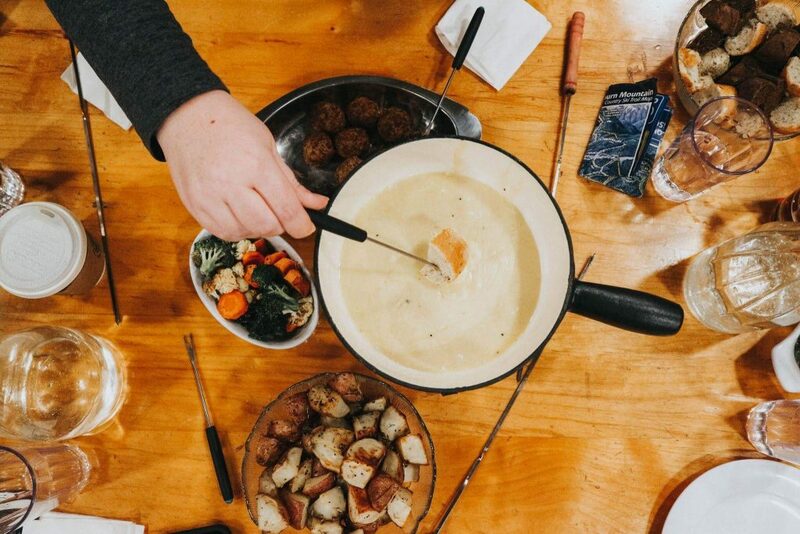 Between each of our two tables, we put a pretty hefty dent in all of the food and enjoyed 2 hours of laughs, stories and a chance to just relax and connect with each other. Oh… did I mention the lodge appears to be a phone dead zone? Yep, I have to say I really enjoyed that part. The only time any of us picked up a device was to snap a photo, otherwise, we were immersed in each others company and enjoying the time with each other. A major win all around! 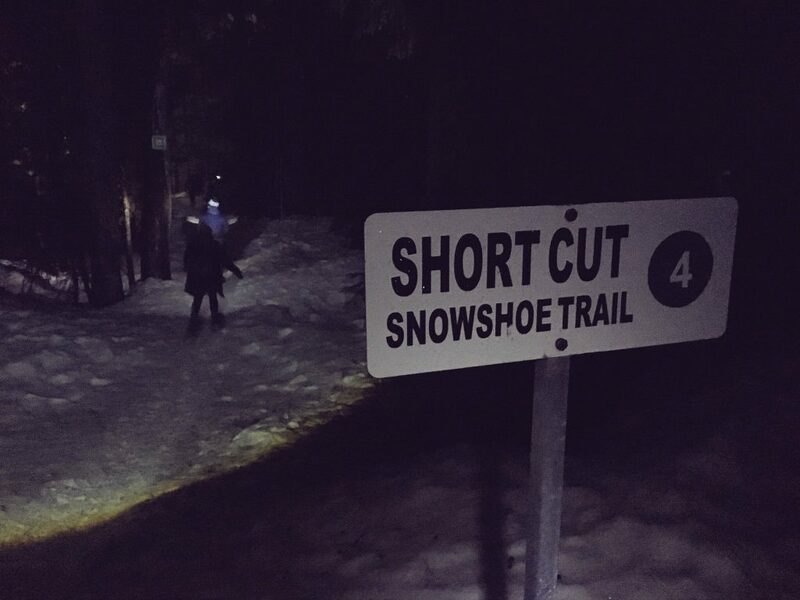 Once we were all finished eating, it was time to strap back on the snowshoes and head back down to the Nordic area. The views coming back down were incredible, and even though our bellies were way fuller than they should have been for this, we couldn’t help but just be in awe of the area around us. All in all, we had an amazing time and have already started talking with a few friends about going back up as a group. Cypress Mountain offers self-guided tours with or without rentals, or 6 different types of guides tours like ours. We’re eye-balling the music tour or the girls night out tour next! 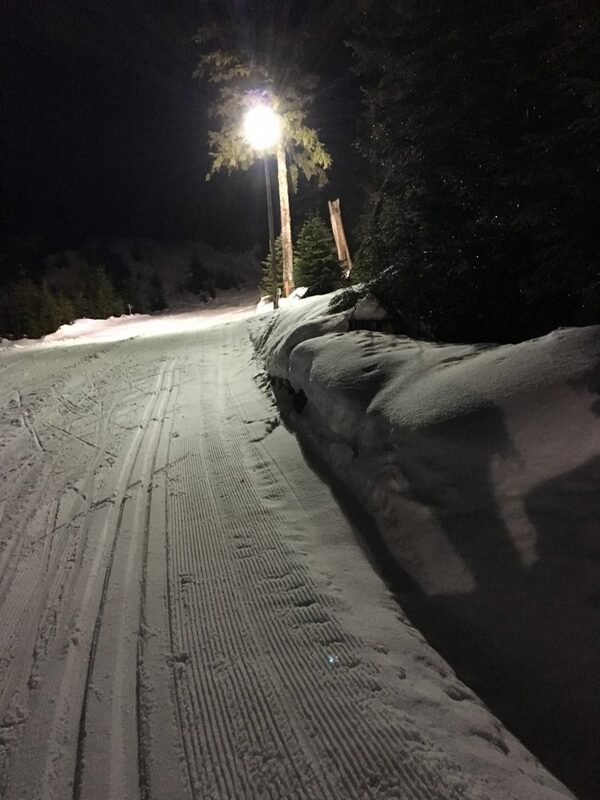 Whichever activity you are hoping to check out on Cypress Mountain, make sure to check the conditions before you leave, have the proper winter tires and tools to enjoy your visit safely. 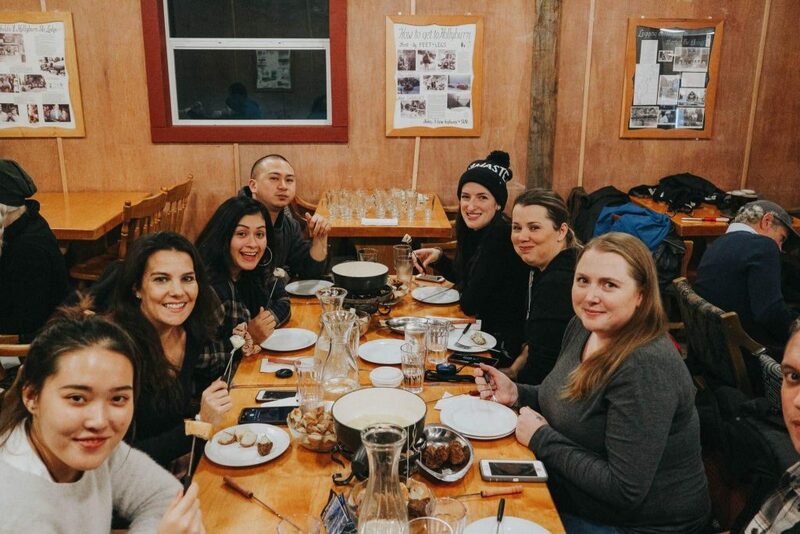 Whether you are a snowshoeing beginner or a pro looking for a way to switch up your visit with a chance to socialize with some great food, we highly recommend the guided tours. Adventure awaits! 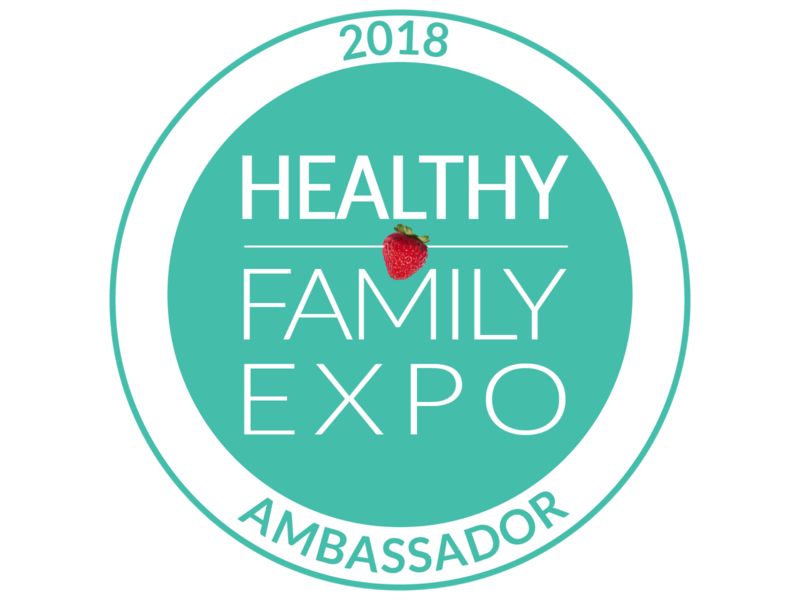 This is such an amazing experience for you!! You should share it on IG too:)! Looks like a great adventure and experience!